This is part one of our two-part series covering the construction industry's labor shortage. In part two, we'll explore building products that can help cut the time or labor needed to build and install products in homes. If you make or have used any such product, send them our way for a chance at being included. One of the greatest issues facing today’s residential construction industry is a shortage of skilled workers. We found that many product manufacturers have ideas that will help. It’s no secret that residential construction businesses are hurting for labor. The issue has been attributed to a combination of factors. According to IKO Roofing, reasons include the housing bubble burst in 2007, changing demographics, reduced immigration, a lack of vocational education programs (in high school and beyond), and the public perception of the trades. As a result, the number of young workers entering the industry is falling far short of the amount of individuals leaving, and the Baby Boomers who are retiring. And the gap is widening. According to USA Today, there were 158,000 job openings in construction in December 2017, up from 140,000 a year earlier. Mark Klein, co-president of Klein Tools, has seen this problem firsthand. “We speak to a lot of end users, and one of the biggest things we’ve heard is that there are not enough younger generation trade professionals coming in[to the industry],” he says. This is putting a strain on business owners in residential construction, who are trying to meet a growing nation-wide demand for housing. In late 2017, 84 percent of contractors surveyed by the National Association of Home Builders (NAHB) and Wells Fargo cited the availability of workers and cost as their most significant problems. Increasingly, building product manufacturers are developing products and systems that help make workersites more efficient. Home Innovation Research Labs has proposed a few ideas on how manufacturers can help the industry—including developing products that speed up installation without impacting quality or reliability, introducing products and systems that can be installed by one person, and shifting more of installation processes to the factory rather than in the field. Beyond product development, the manufacturing industry might seem like an unlikely place to look for a reprieve from the construction labor struggle. But many of these brands across all product categories have been facing similar labor shortages. A recent study by Deloitte Consulting LLP and The Manufacturing Institute found that a predicted two million manufacturing jobs will go unfilled between 2015 and 2025 due to a lack of workers with necessary skills. This is forcing manufacturers to look for, and find, solutions. And their examples may be worth following. For residential construction businesses both big and small, there are all sorts of creative solutions for alleviating staffing issues. 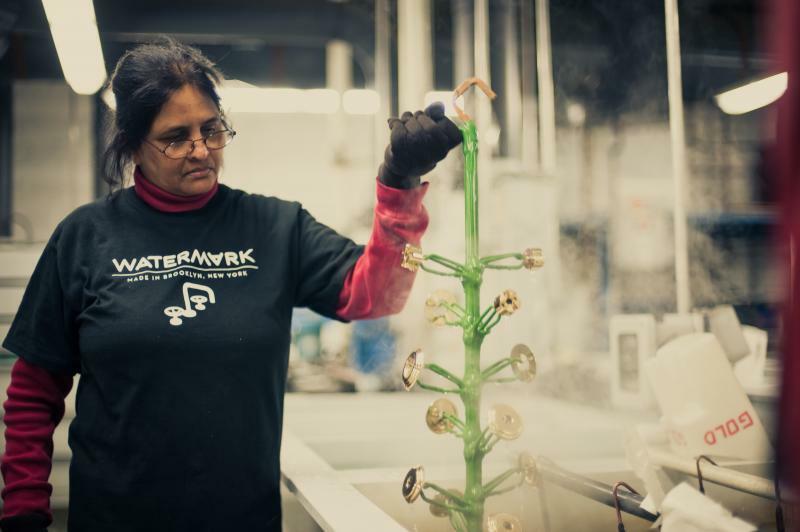 Here are five strategies taken from success stories in the manufacturing world. One might work for your business. If you’re able, donations of resources, money, and time are great opportunities to get your business’ name out in your community. Partnering with a local training initiative or technical college can boost programs that may lack necessary resources and create a pipeline of trained workers already familiar with your brand. Through its recent Pliers Promise, Lincolnshire Ill.-based Klein Tools is donating more than $10,000 in Klein product to Project H.O.O.D., a Chicago non-profit organization that brings employment resources, skills, and tools into underserved communities on the city’s south side. Through the partnership, Klein will equip 15 students in the organization’s construction training program. Klein will also offer the program’s top graduates scholarships to Chicago’s HVAC Technical Institute for training in either electrical or HVAC trades. “The best thing you could probably offer is scholarship money to people who want to get into the trade but maybe are not able to afford it,” says Klein. Watermark Designs is a faucet and hardware manufacturer that takes advantages of the resources in and around its home of Brooklyn, N.Y.
Faucet and hardware manufacturer Watermark Designs has taken advantages of local labor resources in and around Brooklyn, N.Y., its home community of more than 30 years. The company works with several New York organizations to get the word out about job openings, including NYC Business Solutions Industrial & Transportation and New York’s Department of Labor and Economic Development Corporation. 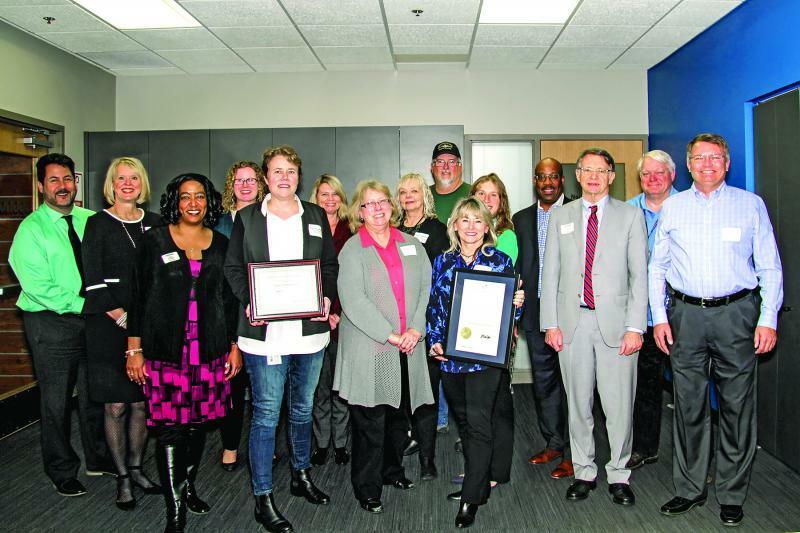 Uponor was presented with a certificate for its registered apprenticeship by the Minnesota Department of Labor and Industry and the Department of Employment and Economic Development. Apprenticeships and internships have many benefits: companies train prospective employees before hiring them full-time, and students gain hands-on job experience while earning an income, offsetting some of the costs of technical instruction. Uponor North America recently rolled out an apprenticeship program with the Minnesota Department of Labor and Industry to help recruit, train, and retain skilled workers. The three-year program is focused in the company’s maintenance department, an area where Uponor is particularly struggling to find qualified candidates. Headquartered in Louisville, Ky., GE Appliances takes on 50 students age 18-21 each summer for the Louisville mayor’s SummerWorks program. Students work as full-time GE employees for the duration of their summer break, learning the ins-and outs of manufacturing work. Many participants have been hired out of the program. There are many organizations, both local and national, that provide resources, application assistance, and training to individuals looking for jobs. Project H.O.O.D., mentioned above, is just one example of an organization training a group of individuals that might not traditionally be recruited by construction companies. There are also job search sites like WRKS Pro that cater directly to the construction industry. Watermark Designs has also partnered with the Center for Employment Opportunities (CEO), a non-profit organization that pairs formerly incarcerated individuals with job openings. CEO recommends candidates to Watermark based on the company’s needs, after which the company can interview, hire, and train the candidates. CEO has offices in New York, California, Colorado, Ohio, Oklahoma, and Pennsylvania. GE Appliances partners with Junior Achievement of Kentuckiana to add a storefront experience at the program's Finance Park. Many students, especially at the high school level, are encouraged to apply to and attend four-year universities, and are often unaware of the possibilities of careers in the trades. By working with local schools to organize presentations, field trips, summer programs, or classes, businesses can give young students familiarity with a career path they might otherwise not have considered. GE Appliances works with Junior Achievement of Kentuckiana, an organization providing career and finance information for elementary, middle, and high school students. GE hosts high school student experience tours at the GE headquarters and participates in Junior Achievement career fair events, where students are exposed to the elements of manufacturing and careers at GE. 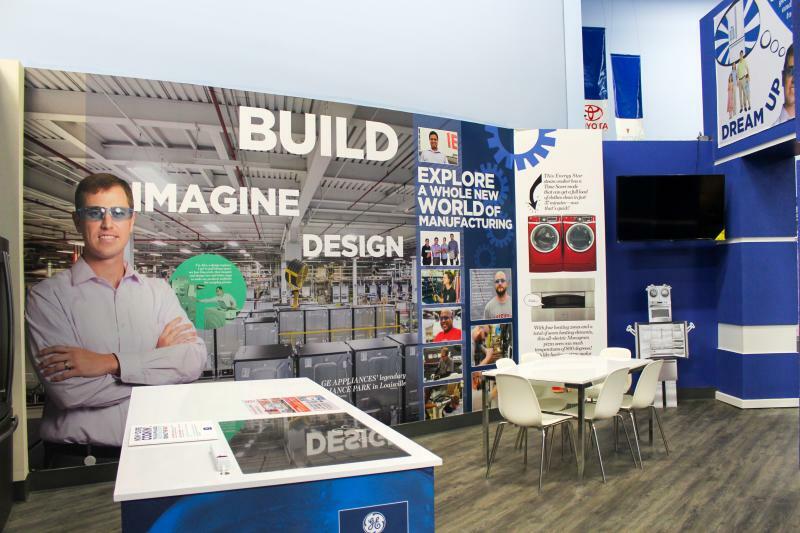 GE has also opened a storefront in Junior Achievement’s Finance Park, which simulates hands-on finance and job experiences for middle and high school students. Editor's Note: This is part one of our two-part series covering the construction industry's labor shortage. In part two, we'll explore building products that can help cut the time or labor needed to build and install products in homes. If you make or have used any such products, send them our way for a chance at being included. Consider using labor saving products. Often, past experience, purchase cost and design specifications are the sole factors in selecting a product. Frequently, there are alternatives available that are tested and field-proven and result in more efficient use of labor, leading to overall lower cost, if properly valued. Specifiers typically will be accommodating to contractor requests, if the labor saving product is not in the original specification. The manufacturers of such high value products will support contractors and specifiers with submittals and substitution requests and provide installation support. Frequently, labor saving products can be installed using less skilled labor than some of the more established methods, helping to lower the total cost of utilization. With labor in increasingly short supply, the best way to maximize profits is to maximize the utilization of labor and there are many products on the market that can help contractors address the issue of the shortage of skilled labor. Give them a look and learn more.